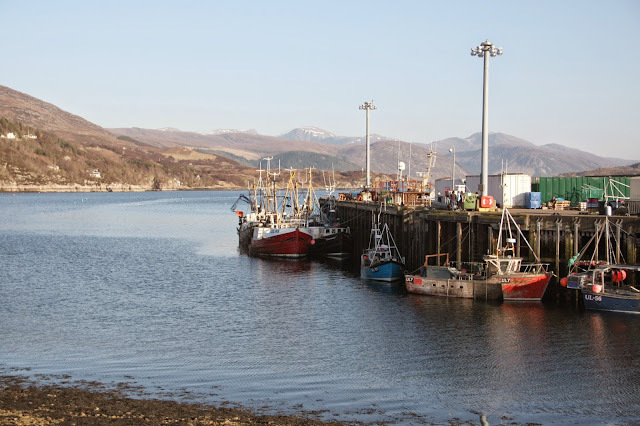 Ullapool is a tiny and picturesque wee place on the shores of Loch Broom with a beautiful harbour and glorious sunsets. 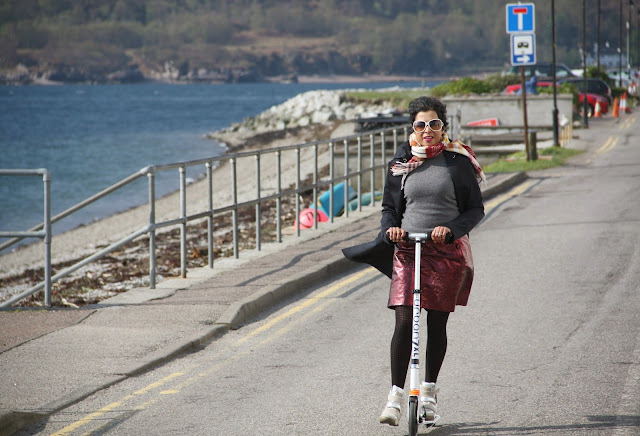 You can walk around all of Ullapool in fifteen minutes or scoot around in five! 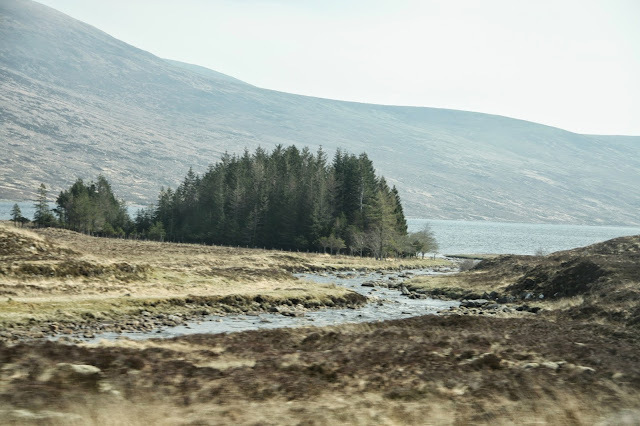 It was our last stopover on our Highlands trip before heading back to Edinburgh. 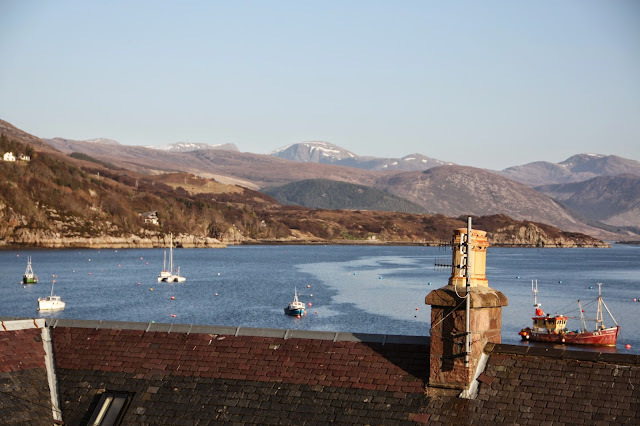 Ullapool is worth checking out, not just because its a beautiful place but also because it is a great base for exploring the Hebridean islands and other nearby places. 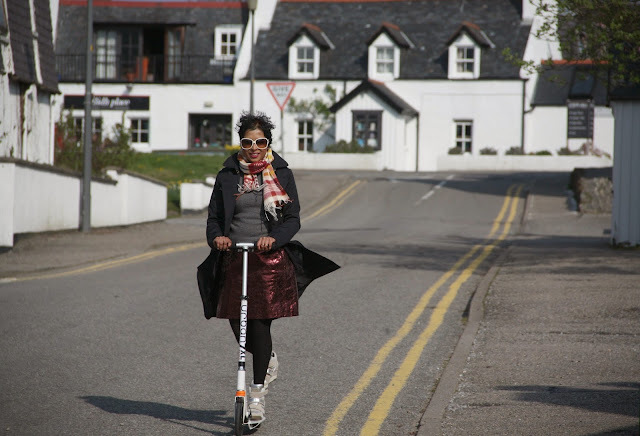 If you decide to scoot around Ullapool like we did, make sure your scooter has decent brakes....some of it was very steep and I was worried about ending up straight into the freezing cold loch! 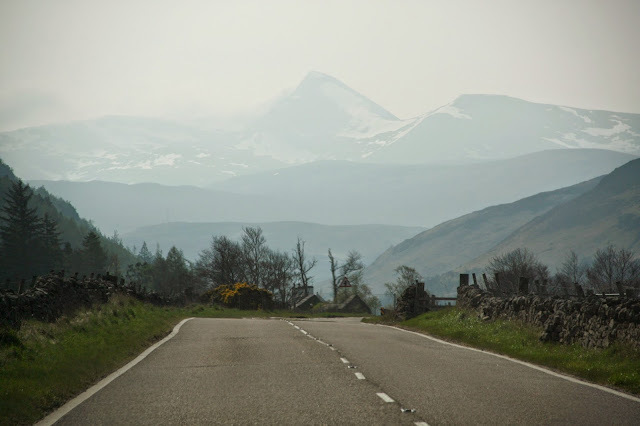 Whilst the photos look quite summery, I can assure you that the temperature was distinctly cold. Nevertheless, it was a good excuse to wear out some of my favourite winter wardrobe items including this gorgeous metallic cracked leather skirt. I bought it in the sale some months ago but as my usual size 10 was out of stock, I bought a size 14 ( which was huge) and got it altered professionally. It still didn't fit well enough so I altered it again myself and it fitted a bit better. I thought it went really well with my new ( but very well used) Johnstons of Elgin cashmere scarf ( from the bargains section!). 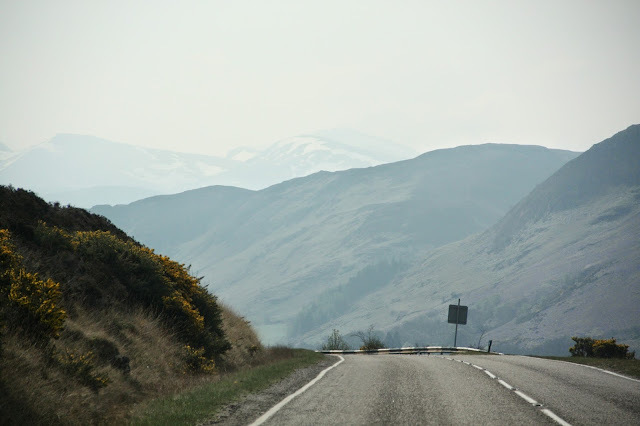 We drove back to Edinburgh through the Cairngorms and Aviemore....it was a pretty drive back but nothing compared to our drive from the previous couple of days...perhaps we were getting a bit blasé about places we've visited or driven past before?! Wearing: Landsend cashmere jumper top, ASOS cracked leather metallic skirt, Michael Kors trench coat, Johnstons of Elgin cashmere scarf, Ash wedge trainers and Christin Dior Madrague sunglasses.